Our unique gluten free cookie recipe mixed with tangy lemon combine to create these moist lemon sugar cookies.Completed with a dipping of silky sweet frosting. 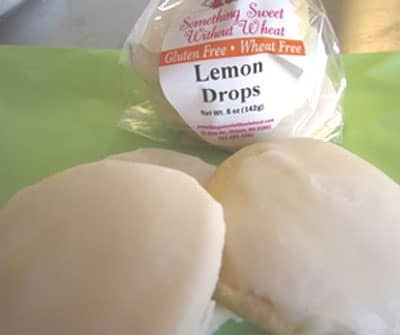 Looking for a cookie that can be served and enjoyed by everybody, even those with gluten and dairy sensitivities Now you can with our popular lemon drop cookies! Bite into a pleasantly moist lemon sugar cookie smothered in a frosting that is just sweet enough to make you want another. These cookies are handmade using only the finest ingredients, and we can promise they will be an all-time favorite!